ownCloud 7 Community Edition is coming next week and we’re featuring some of its awesomeness in a series of sneak peeks. 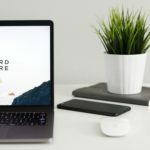 The last two were about sharing so I thought I’d cover ownCloud 7’s better performance and improvements in the user interface. It isn’t just the web interface that has been made faster. Underlying storage and syncing has been sped up, too. And the ownCloud sync client now syncs faster, especially on many and large files, by parallel uploading and downloading changes. Last but not least, the upgrade/migration script is far faster than it is in ownCloud 6. New in this area is the addition of some scripts an admin can execute to migrate from one database to another, like going from SQLite to MySQL. Of course, speed is just one aspect of the user experience. 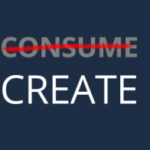 Making things easy and work well in more situations is another where ownCloud 7 shines! A good example is the support for mobile browsers. ownCloud now works great on most tablets and mobile devices, providing support for devices which don’t have a native app (like Microsoft and Blackberry OS devices), as well as providing another way of accessing your files. Talking about files: the Files app can now sort your files! By sorting by name, size or last modified time it is far easier to find the file you were looking for. But usability can also help with security. Our new Password Strength Indicator helps you pick stronger, more secure passwords! Last but not least I would like to mention the work that was done on the Activity app. Not only has it gone through a redesign to be cleaner and use space more efficiently, you can now receive notifications when files or folders are shared with you or when files in a shared folder are created, changed and deleted. You can get these modifications by mail. And for those users who have not yet set up the mail functionality in ownCloud: there is a new, easy to use wizard for configuring your mail settings. A good user experience is crucial for ownCloud. If we want to empower people to take back their data, our tool has to be easy to use and feel great. ownCloud 7 takes a huge step in the right direction and we’re grateful for all the contributors and the hard work they have put in to make this possible! 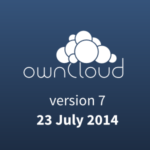 Find more details on owncloud 7 in the feature list! You can discuss the features of #owncloud7 on twitter, Google+ and Facebook and don’t forget to tell others about this ownCloud release! topic of from this post. ownCloud 7 Sneak Peek: More Sharing! Seven days to Seven! 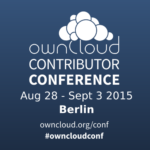 Promote the ownCloud release.